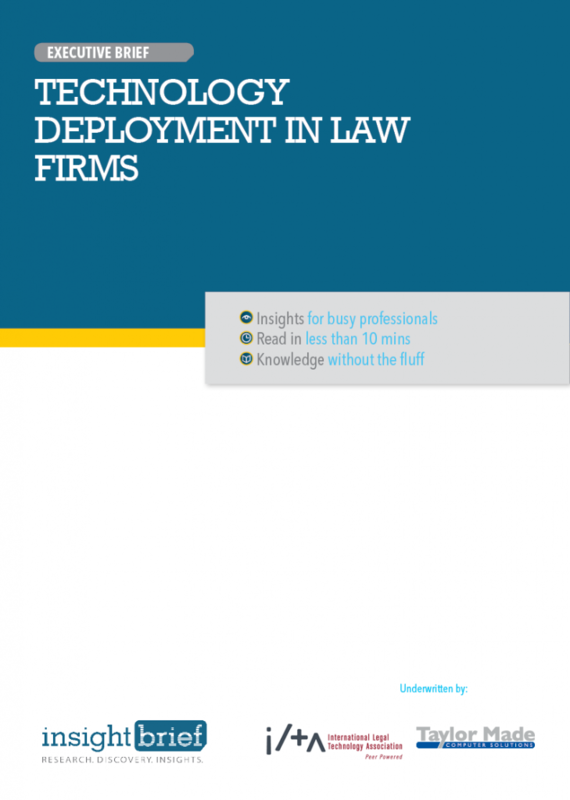 The 2014 ILTA Technology Survey revealed significant trends and concerns of more than 450 law firms across the United States. In response to more than 100 questions about the use of technology in day to day business, the team determined that Security, Simplifying and Saving were the greatest factors in determining what firms use now and are looking to use in the future. The focus on security is driven by clients and regulators, so security projects rise to the top of the priority list quickly. While 40% of firms use tablets, they are in addition to laptops instead of the expected replacement of laptops. More than 35% of attorneys use laptops in place of desktop systems. Firm leadership determines business imperatives but retaining flexibility is a tremendous asset that should not be squandered. The future is still murky as many forces – such as the market, firm leadership, clients, politics, and hackers – shape the trajectory of the technology agenda. Reducing the complexity of a firm’s technology system lowers costs, facilitates maintenance and allows delegation through managed services.